Surfers at ‘Cables’, the artificial reef off Mosman Park Beach, two weeks ago. PERTH’s second artificial surfing reef could be built at Scarborough Beach if a community group’s plans are put into action. The Scarborough Beach Association (SBA) recently revealed its Action Plan to revive the foreshore precinct with short-, medium- and long-term goals, which include a $2 million artificial reef. Perth’s only artificial surfing reef is a 17-year-old structure 300m offshore from the Cable Station shore break at the Cottesloe-Mosman Park border. The reef’s supporters faced some accusations of building a ‘white elephant’ after it cost the State Government $1.65 million in 1999. Granite blocks were put on a 6m-deep natural reef, creating a 140m-long crescent moon-shaped structure with a water depth of 1.5 m to 2m. Rides were predicted to be up to 80m for the ‘right’ hander and 40m for the ‘left’. A UWA study 12 months after construction claimed it provided up to 150 rideable days each year. 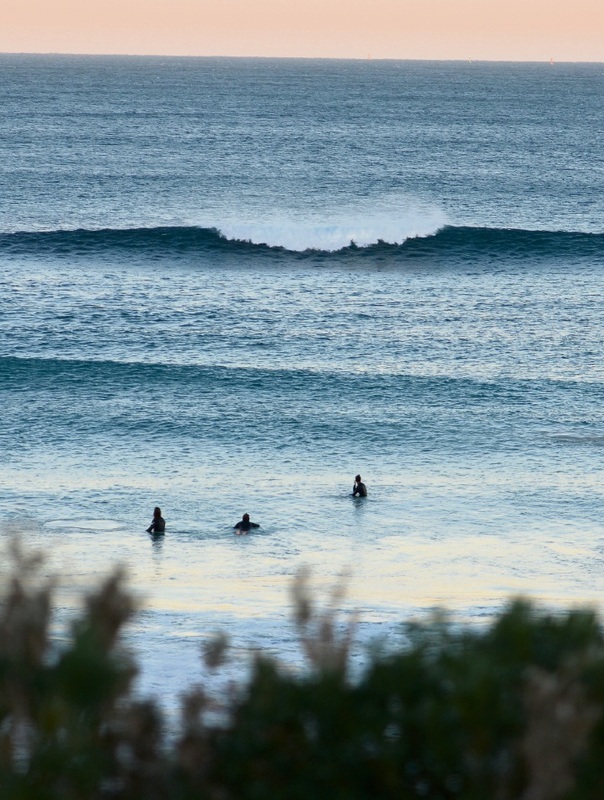 The SBA has already spoken with Surfing WA, according to association chief executive Mark Lane. “We have been speaking with the SBA in relation to several ways to bring to life the area,” Mr Lane said. SBA chairman Wayne Bowen said the next step was talking to experts. MRA chief executive Kieran Kinsella said the project would need to be proposed by a private developer because government funding was not available “at this time”.